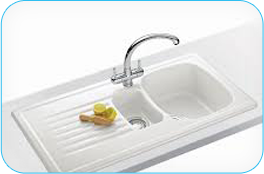 We have a huge section of quality kitchen appliances, sinks and taps and accessories available to complement your fantastic modern or traditional kitchen; these can be tailored to fit any budget. 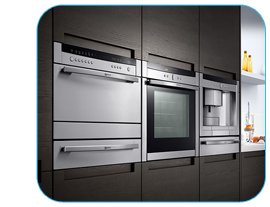 Whatever your appliance needs are we able to cater; we can offer everything from large traditional style range cookers to the sleekest most modern foldaway ovens or top of the range hi-speck ultra modern glass cooker hoods. 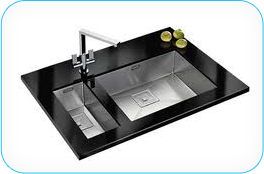 Why not come and visit our showroom to discuss in more detail. 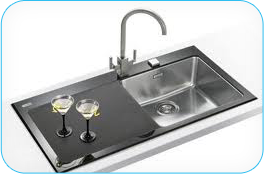 Most of the sinks we can provide come as a 'Sink & Tap' pack which enables the customer to get a better deal. 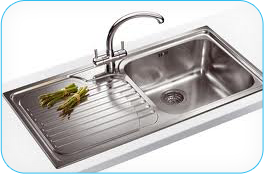 More and more with our kitchens customers are wanting to add additions such as Hot Taps and Waste Disposal Units with air switches to their kitchens. 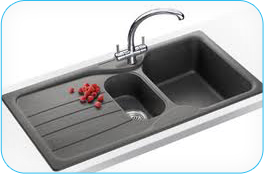 These just add a sense of class to the kitchen; by enabling the customer to free their worktops from kettles, refuse bins etc. 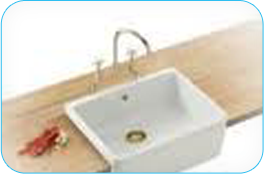 The Hot taps can also come with a filtered water tap option too.